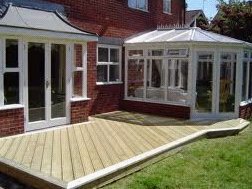 As decking specialists, Joseph Parr offer the top quality Arbordeck and is proud to offer a full range of low maintenance timber decking and composite decking, as well as all the fittings and extras you require. Perfect for both residential and commercial settings, our decking is a cost-effective way to enhance gardens and other outdoor spaces. This is the case whether you’re looking to install a deck in your garden or are hoping to create a stylish exterior area for your staff to enjoy during their breaks. 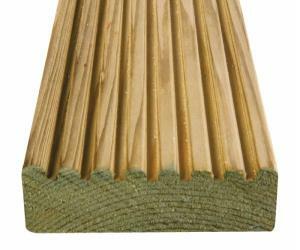 Arbordeck has a huge range of decking products to suit, as well as complete decking systems, which includes our hard-wearing Arbordeck decking and Arborails. Click here for landscaping and garden products including fencing, patio paving, timber features and structures. Every Trex® piece can stand on its own with our signature blend of style and strength, or come together as one weather-shrugging, long-lasting, easy-to-care-for outdoor oasis. Find all the right Trex products for you here at Joseph Parr. 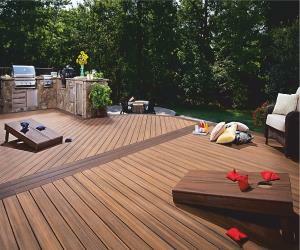 High-quality, durable and easy to fit, take a look at our collection of Timber Decking Products.